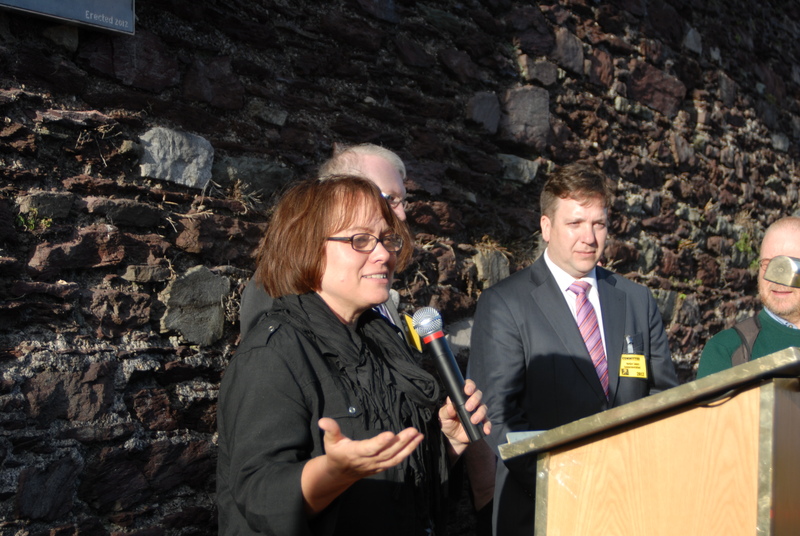 The City of Cork, Ireland has finally given recognition to its rebel daughter Mother Jones (Mary Harris Jones) with the unveiling of a plaque on the 175th anniversary of her birth / baptism in the historic Shandon area of the city. The event was the highlight of a three day festival commemorating the Cork woman, once dubbed “the most dangerous woman in America” because of her activities on behalf of workers and the poor and her role in exposing the evils of child labour in the United States and having it declared illegal. 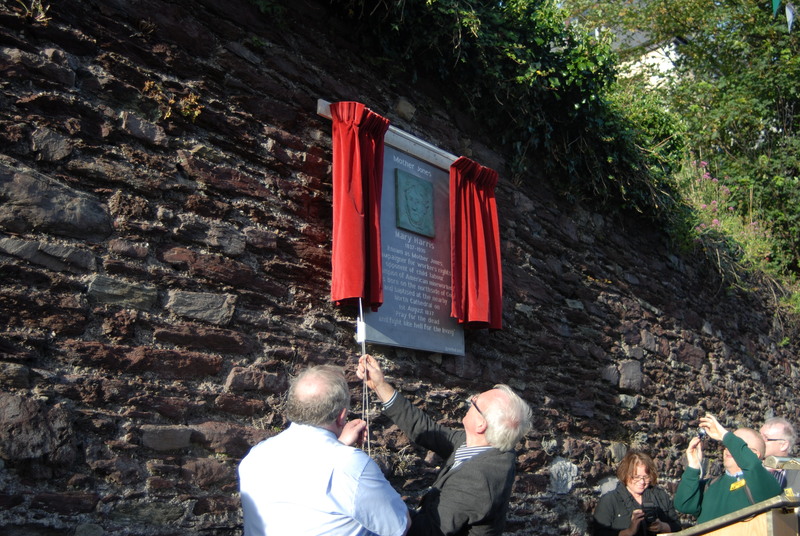 The plaque was unveiled jointly by committee members Councillor Ted Tynan and Jim Nolan on behalf of the committee and in addition to the large attendance were a number of people associated with the histocial and social legacy in the United States. Prof. Rosemary Feurer, US labor activist, writer / director and maker of the documentary film “Mother Jones, the Most Dangerous Woman in America”, addresses the crowd after the unveiling of the plaque to Mother Jones. Also in photo (L-R) are committee members Jim Fitzpatrick, Michael Lally (Manager of Maldron Hotel Cork) and Richard Cooke. All of Mother Jones’s followers are very proud of Professor Rosemary Feuer. Our son Donald Joseph Schmeder’s memorial stone is in the Miners Cemetary in Mt. Olive Illinois. Before he passed, at the age of 30 years old, he said he wanted his ashes to go to Mt. Olive where Mother Jones was buried. He and Mother Jones are together.